Got extra egg yolks from another recipe? You’re in luck! Here are 17 scrumptious leftover egg yolk recipes. Whether you have 1 egg yolk you need to use or 10, this delicious roundup has something for you. Welcome to our quarterly roundup! Since we haven’t done recipe roundups in a while, I’ve decided to create 2 for you this week. 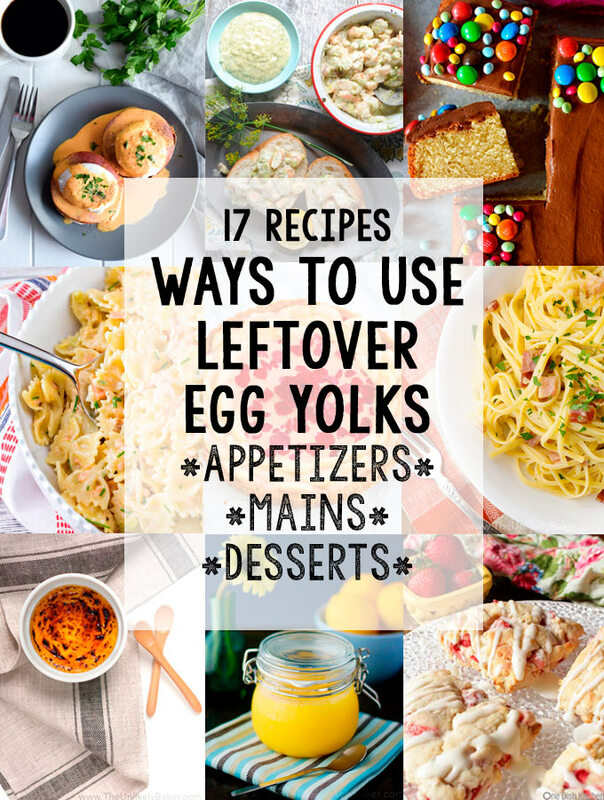 This first one is a collection of recipes and ways to use leftover egg yolks. We’ve all been there, right? A recipe only needs egg whites. What do we do with the egg yolks? The answer is: a lot! 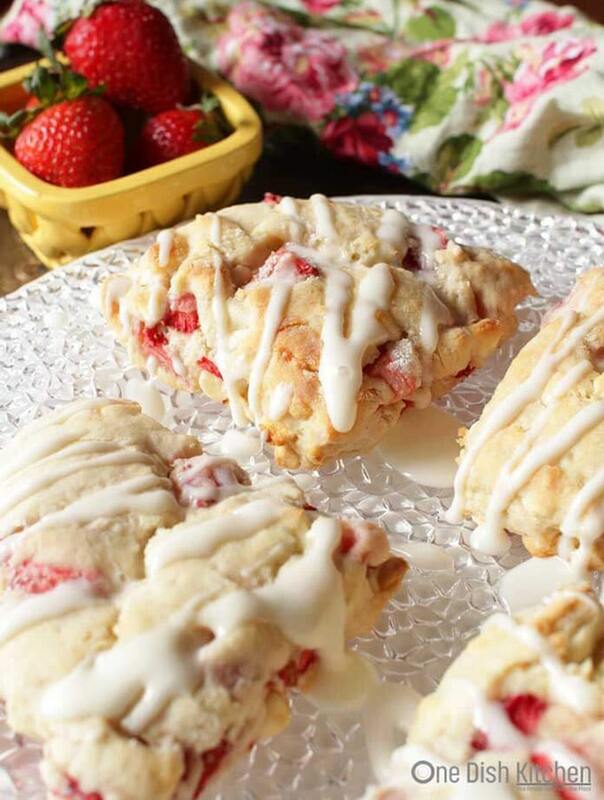 Armed with just 1 egg yolk, you can make Small Batch Strawberry White Chocolate Scones. 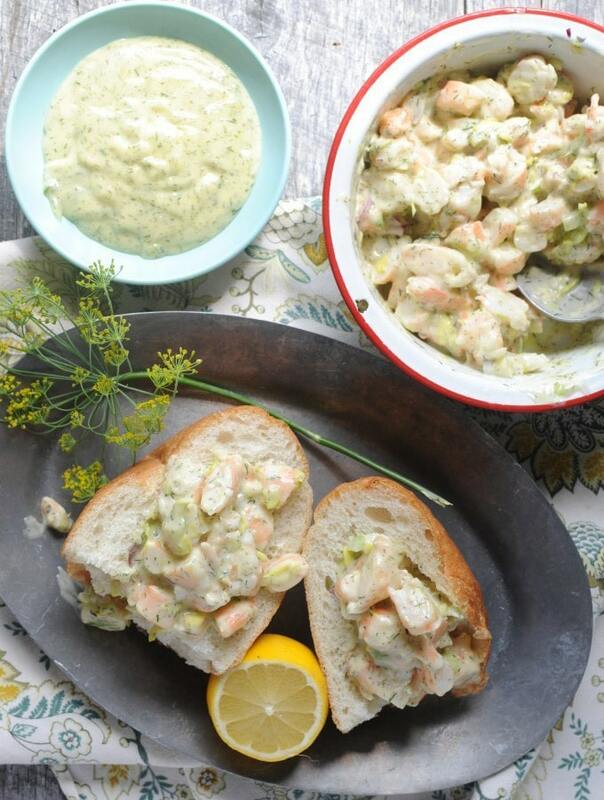 Or the dill mayonnaise for this delicious Lemon Dill Shrimp Salad. There are lots of possibilities if you need to use up those 2 egg yolks. 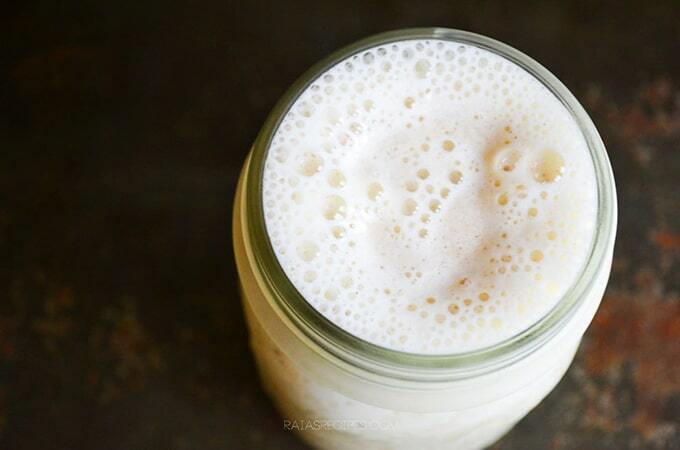 You can make Healthy Eggnog Smoothie – perfect for the holidays! 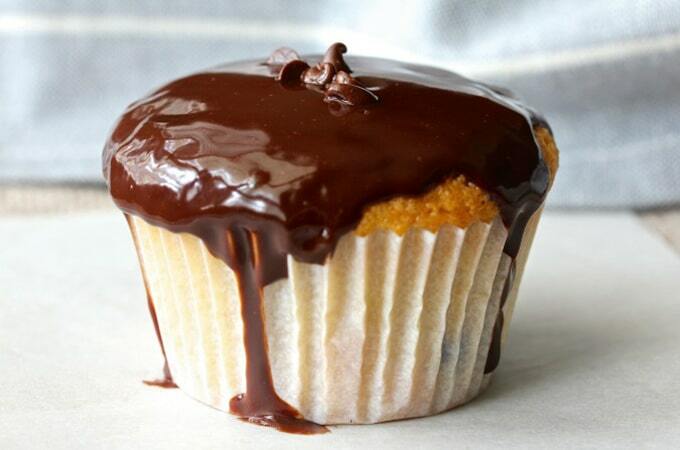 Or Cacao Nib Muffins with a Dark Chocolate Glaze (always say yes to chocolate!). 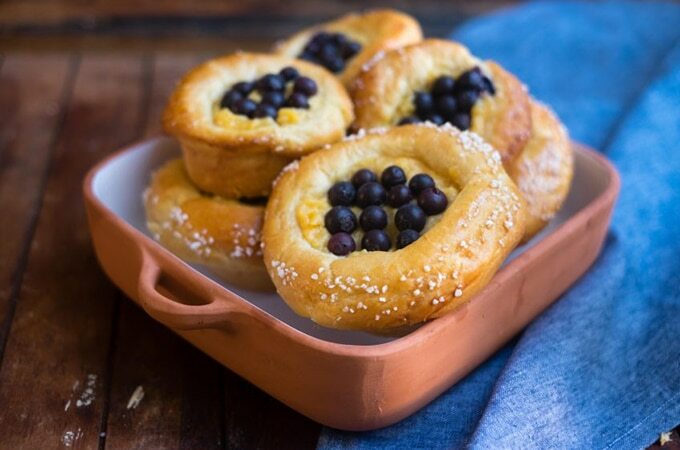 How about this adorable Blueberry Brioche? Makes for a lovely start to the day. Want something savoury for breakfast instead? With 2 egg yolks you can make the chipotle hollandaise for this Easy Chipotle Eggs Benedict. 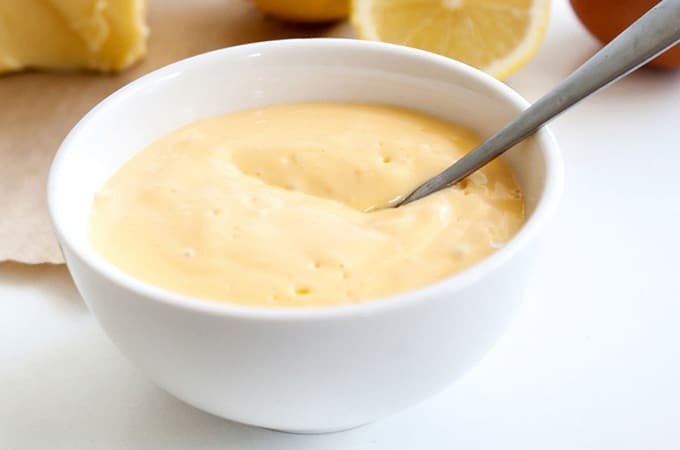 If you’re looking to make traditional hollandaise, here’s a Simple 2 Minute Hollandaise Sauce that requires 3 egg yolks. 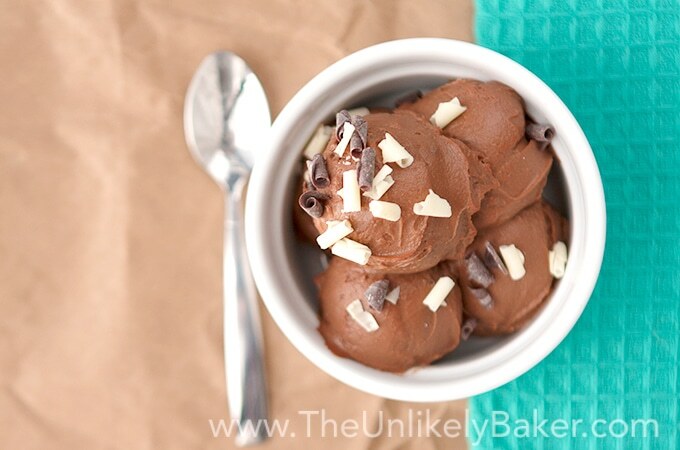 With 3 egg yolks, you can also make yummy Homemade Mexican Chocolate Pudding. Tastes way better than those you can find at the store! 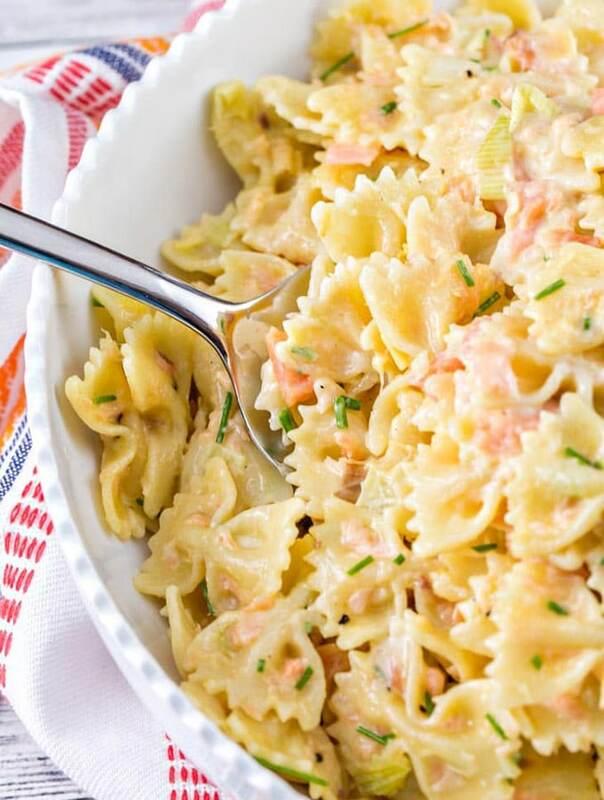 You can also make this Creamy Smoked Salmon Pasta perfect for brunch, lunch or any time of the day! Carbonara is another way to use leftover egg yolks. 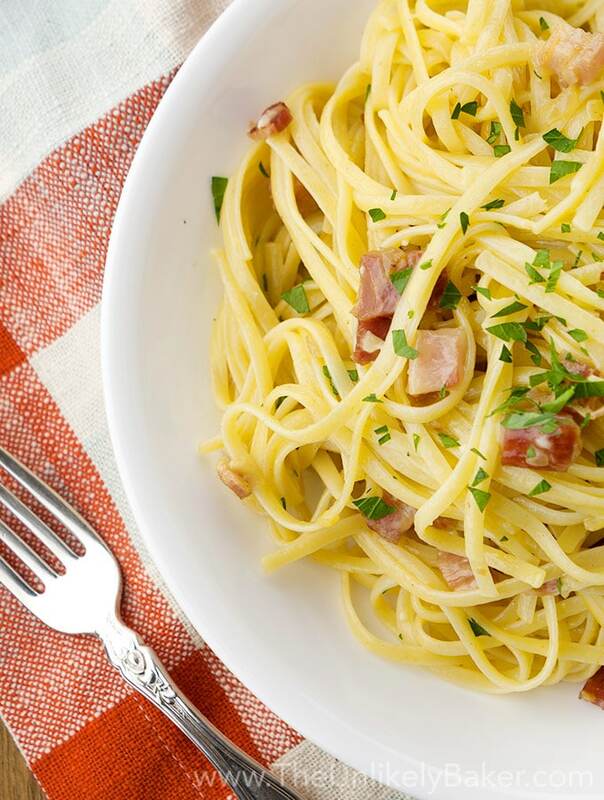 David Rossi’s Carbonara Recipe (Copycat) needs 4. 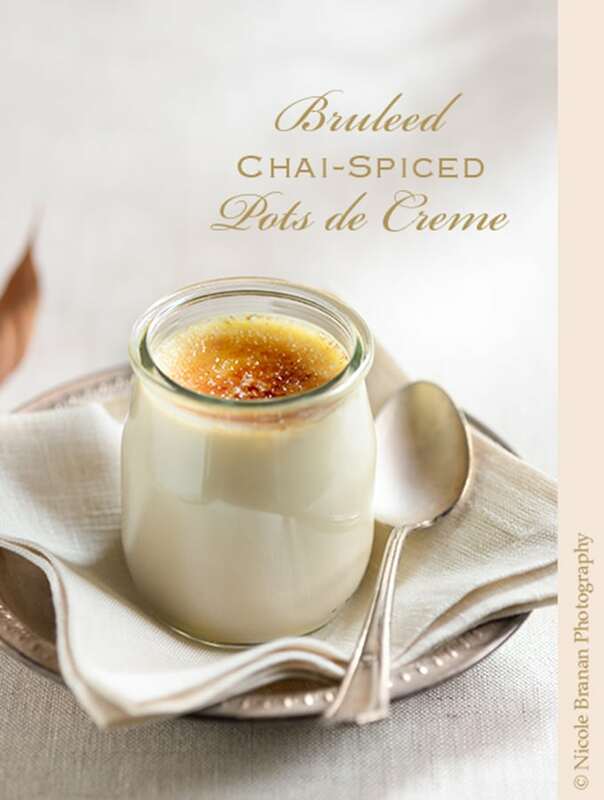 And for dessert, you can make Bruleed Chai-Spiced Pots de Creme. That’s a delicious meal right there! 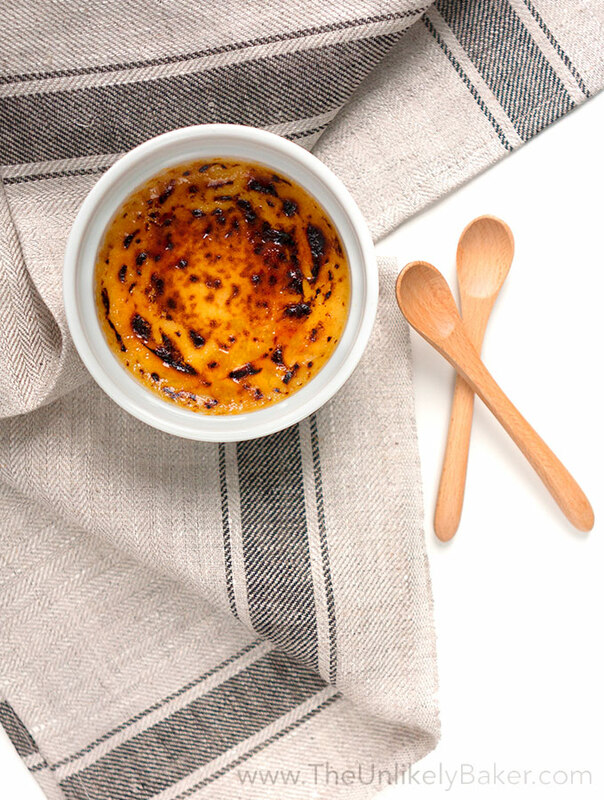 5 egg yolks are all you need to make luscious Irish Cream Crème Brûlée. Love lemon? 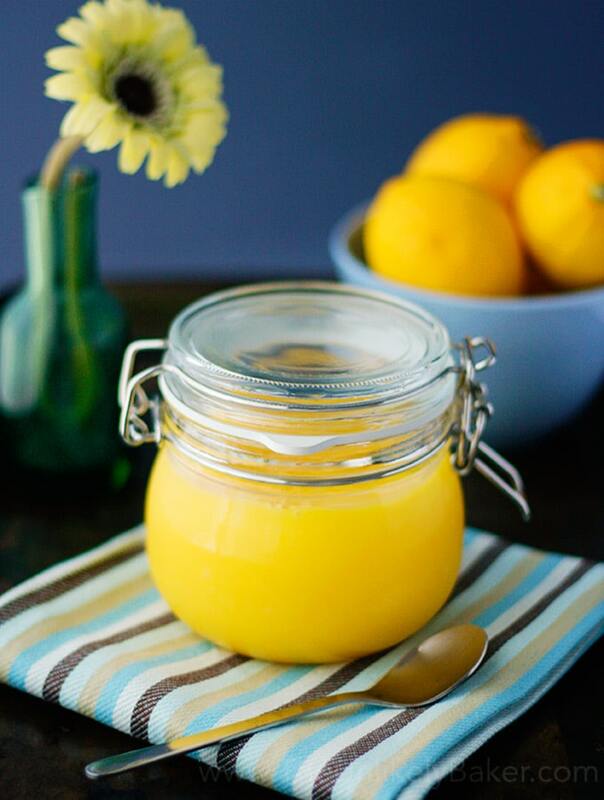 Here’s a recipe for delicious, oh-so-lemony Quick and Easy Homemade Lemon Curd. 6 egg yolks are a lot of egg yolks and we don’t ever want them to go to waste! You can make Prophetenkuchen – German Prophet Cake. 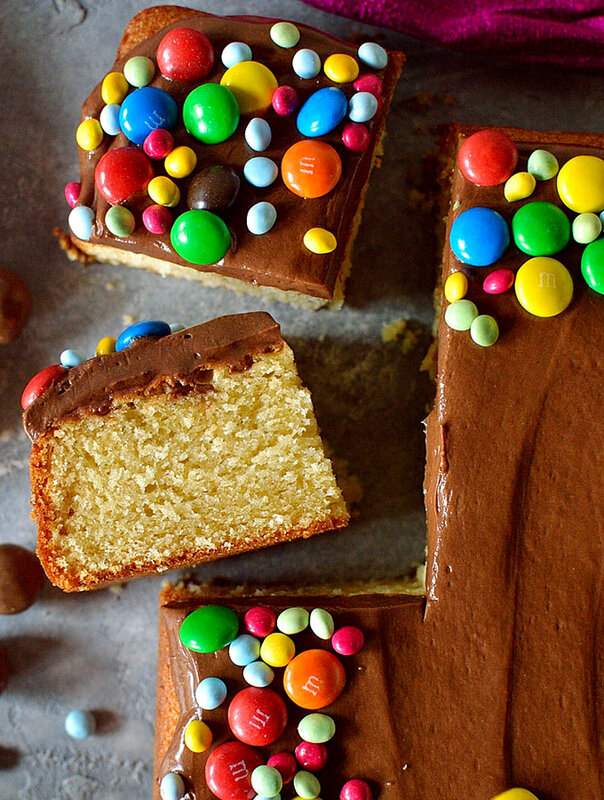 Or make someone’s day by baking this bright and cheerful Yellow Vanilla Cake with Chocolate Ganache Frosting. If you find yourself with 10 egg yolks, fear not. 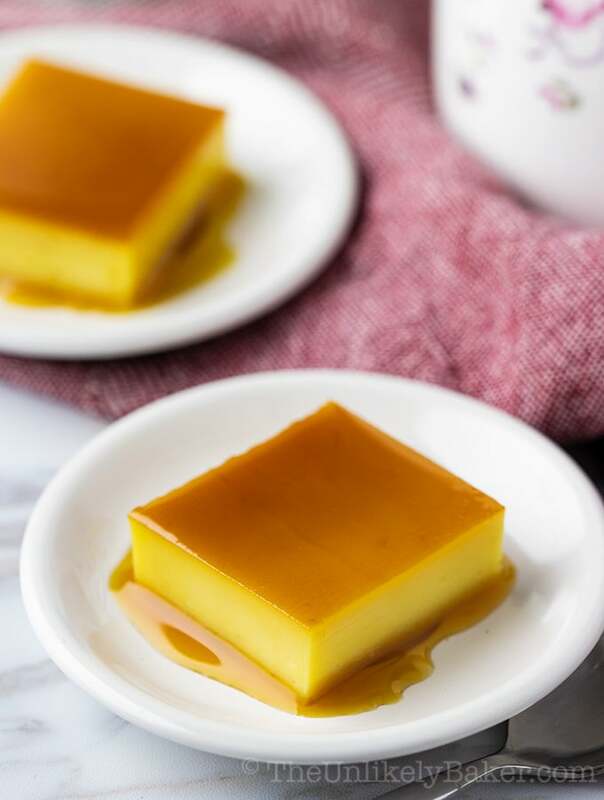 You can make this Smooth & Creamy Leche Flan Recipe (Filipino Crème Caramel). 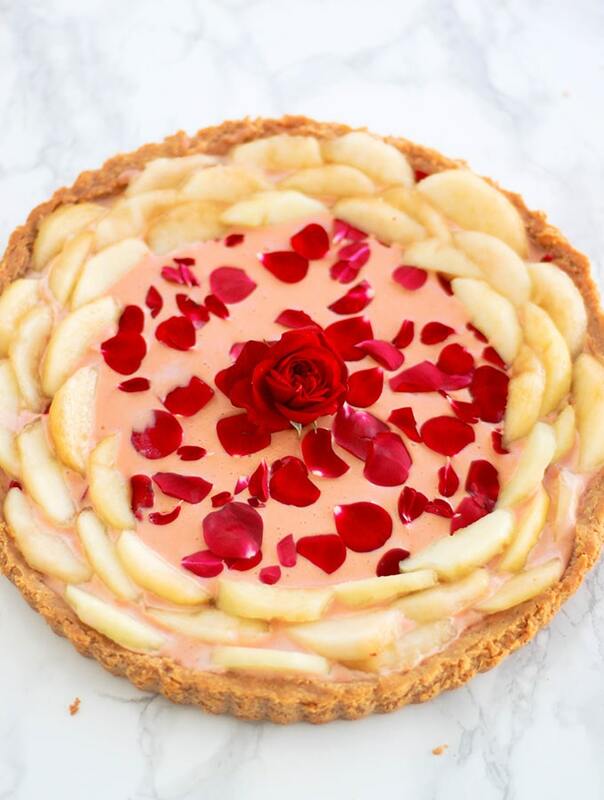 Add 1 more yolk and you can make this beautiful Rose Curd and White Peach Tart. So you see, whatever amount of egg yolks you have leftover, there are lots of delicious ways to use them. Hope you found inspiration here. Let’s not waste those gorgeous, yellow egg yolks ever again! What’s your favourite way to use those leftover egg yolks? I’d love to hear from you in the comments section below. Check back in on Wednesday – it’s going to be a collection of recipes using leftover egg whites! 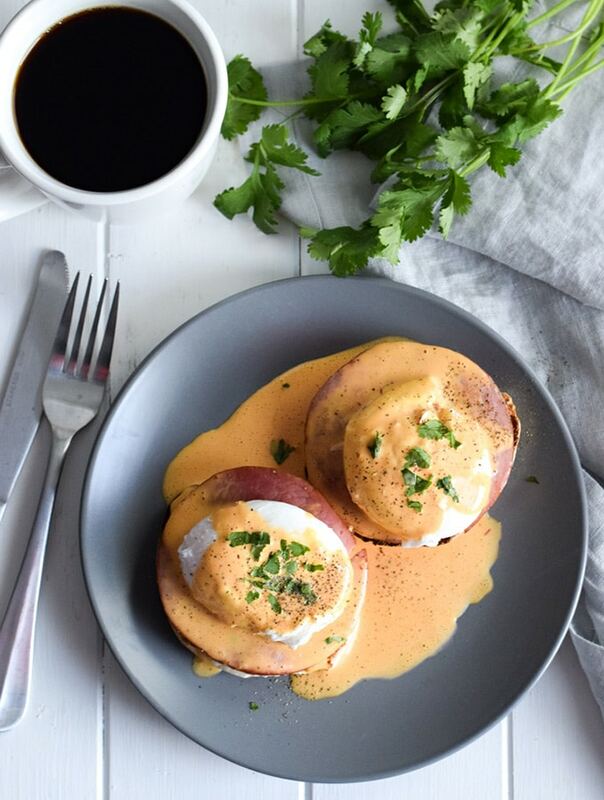 Such a great roundup – I am drooling over those chipotle eggs benedict! Thanks for including my smoked salmon pasta in this awesome list! Hi Norma Jean, it is a little challenging to find a recipe that needs exactly 8 egg yolks. What you can do is double a recipe that uses 4? Or weigh the egg yolks…you might find some recipes that go by weight. Here’s a great reference: https://www.eggs.ca/eggs101/view/4/all-about-the-egg Hope it helps! All these recipes look delicious but I have to give that Lemon Curd a try as soon as possible. These all look delicious especially that muffin with the glaze! Who would have thought you could make all these things with a left over egg yolk? Awesome. Those all look so delicious! Thank you for including my eggnog smoothie! Such a timely post! I actually have 10 yolks sitting in my fridge – leftovers from making swiss meringue buttercream! Been thinking of how to use it aside from the leche flan. Enjoy your vacation!! Hi Trish! Thanks we came back just before thanksgiving 🙂 Hope you had a lovely one! Oh, you have some excellent recipe choices here and now my mouth is watering! I love everything blueberry, so my favorite (if I could even choose one) would be the blueberry brioche! All of those things look amazing. I didn’t realize you could do so much with just some good yolks. I really like that dill mayonnaise in that shrimp salad. You little clever cloggs, this egg yolk recipes are simply divine and a great way on to not waste anything. 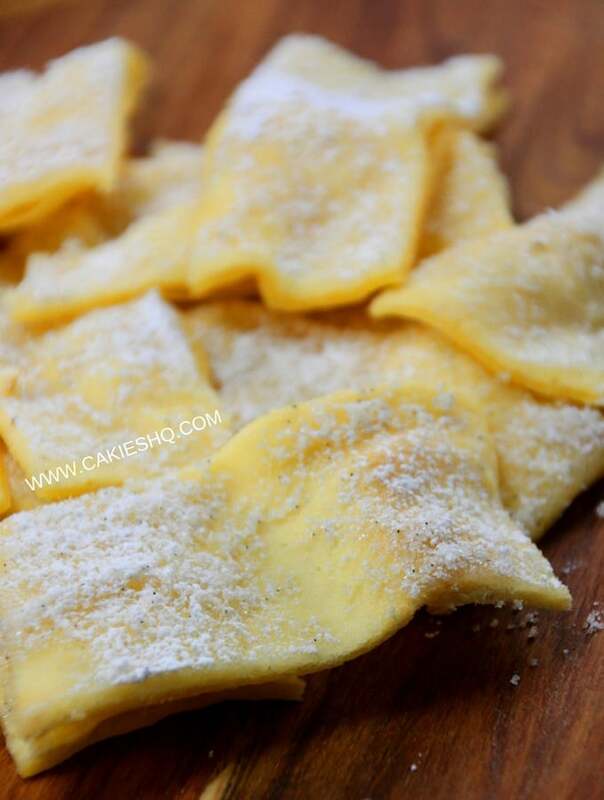 As a fitness athlete, I only consume egg white and this is so amazing that we can use these leftover egg yolks in so many other recipes, all recipes look delicious, I’m surely gonna try these recipes. Very useful! Particularly because I don’t like waste so it’s great to have ideas on what to use or get rid of. Oh wow! Lots of great recipes to try for the next few weeks. I will be busy in the kitchen. I really love the Small Batch Strawberry White Chocolate Scones. They look amazing. That’s something really interesting..So many ways to use the egg yolk , wow! Loved that smoothie specially, my son would love having it for sure. Very handy post! I always have leftover yolks after baking a pavlova and I never want to have to throw them out. Thanks! What a great idea for a post! I often have egg yolks left over from baking and never know what to do with them! These are great recipes! My hubby loves creme brulee so I’m going to try making the Irish Cream Crème Brûlée. It look like an easy recipe to follow. Love all the photos! So many delicious options! I wouldn’t mind making some delicious Mexican chocolate pudding sometime! What a great list of ways to use up egg yolks. I usually cook mine to give to my dogs as a little treat. I’ve saved this because I never know what to do with leftover egg yolks! Whenever I make custard and use a ton of egg yolks, I make spicy scrambled egg whites, but whenever I make anything that requires egg whites I just throw away the yolks and it feels like such a waste! Top of the list is always leche flan! I had 12 egg yolks to ùse up last week and I made yema cake which needed 12 egg yolks for the icing. Carbonara is also there, as well as ice cream. I don’t bake enough to ever have left-over yolks. But this is a great list of ideas for those who do! We always have leftover egg yolks from making desserts. These are really great ideas. Thanks for sharing! I had no idea there were so manyt hings you could do with leftover egg yolks! What ag reat roundup of recipes! I would make the creamy salmon pasta and the blueberry brioche from this list! I dont often bake so dont know any recipes of my own for using up egg yolks.